But if you do it incorrectly, it can create damage. And even done correctly, if your cellphone doesn't have the right antivirus protection for Android, rooting makes your device open to all types of malware. You can turn your smartphone into a Brick. It's possible that your smartphone will become a Brick after Rooting can happen, but! Not all smartphones are Brick after Rooting, only a few high-potential smartphones are Brick. You have canceled the cellphone warranty. Having a cellphone that is guaranteed is indeed an advantage that we have after buying a new smartphone device, but! If you decide to do Rooting, then you have canceled the warranty of your Xiaomi Redmi Note 4X device. You can do Rooting if you believe your smartphone hardware will not be damaged during the validity period. Rooting means you have weakened your Android's security door to be infiltrated by malware. Well! The above are the advantages and disadvantages of the privileges you get from the Rooting process. Now take the best decision in your opinion, whether you still want to do Rooting or not. If you decide to do Rooting on your Xiaomi Redmi Note 4X device, then here is the right post for you to follow. This post contains a tutorial on how to rooting Xiaomi Redmi Note 4X device using SuperSU created by Chainfire or using Magisk made by Topjohnwu. Rooting on your Xiaomi Redmi Note 4X device must first install TWRP. Although you can do Rooting on Android, you have to know the strengths and weaknesses of SuperSU and Magisk. 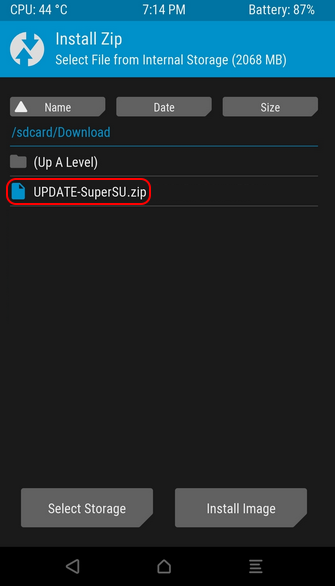 When SuperSU will root your device it will do the changes in the System files and also adds some files in the system partition. If you will install SuperSU you won’t be getting any OTA updates or any financial application won’t work on your device. 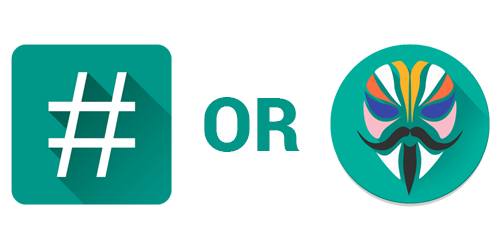 If you will root your device with the help of Magisk then the magisk won’t do any changes in your system files. Magisk will change the boot.img to magisk.img. Magisk won’t add any files in your system files. After knowing the difference between SuperSU and Magisk, now determine your choice, whether you choose SuperSU or Magisk, one of which you can use to reboot Android on your Xiaomi Redmi Note 4X device. But if you want to do Rooting without having to install TWRP, you can use PC applications like RootGenius, iRoot, KingRoot, MobileGo, Kingoroot, One Click Root, and SRSRoot. Besides Rooting, you can also use the PC application for Flash ROM, Flash Kernel, Remove Ads in Apps, Device Booster, Uninstall Preinstalled Apps, Remove Bloatware, Unlock Screen, Download ROM and more. And, if you don't have a PC to reboot Android on your Xiaomi Redmi Note 4X device, then there is a special Rooting application that you can use WITHOUT a PC, using the KingRoot Mobile, 360Root Mobile, iRoot Mobile, RootGenius Mobile, Key Master Root, Kingoroot Mobile, TowelRoot, and FramaRoot. All applications can be installed directly on your Android without using a PC. Make sure you have a battery Xiaomi Redmi Note 4X device 30-50% to make the process of flashing TWRP Recovery. Prepare a USB Cable to connect your Xiaomi Redmi Note 4X device to your computer. 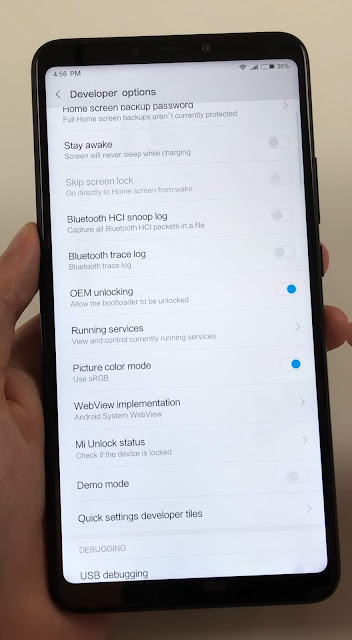 On your Xiaomi Redmi Note 4X device, turn on USB Debugging Mode and OEM Unlock. 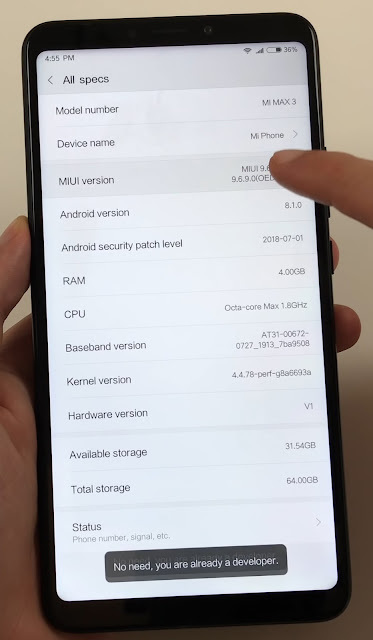 How: on your Xiaomi Redmi Note 4X device, go to "Settings" -> "My Device" -> "All Specs" tap on "MIUI Version" until you get the message "Now You Are Already a Developer". Now, go to "Additional Settings" -> "Developer Options" enable "OEM Unlocking" and "USB Debugging". 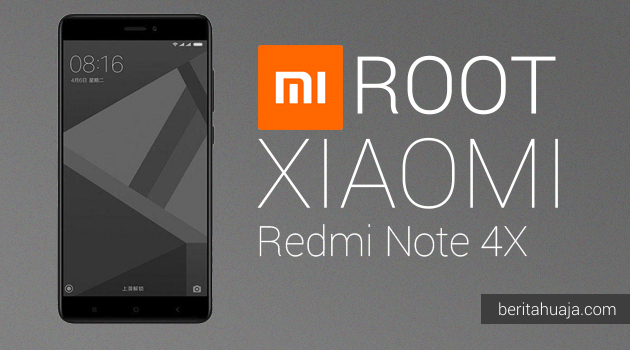 Follow step by step Unlock Bootloader Xiaomi Redmi Note 4X Device. Download and install Mi PC Suite or Xiaomi Redmi Note 4X Android USB Driver on your computer, which serves to enable the computer to recognize your Xiaomi Redmi Note 4X device. Download and install 15 Seconds ADB Installer on your computer, whose function is to allow you to enter into Fastboot Mode your Xiaomi Redmi Note 4X Auto. 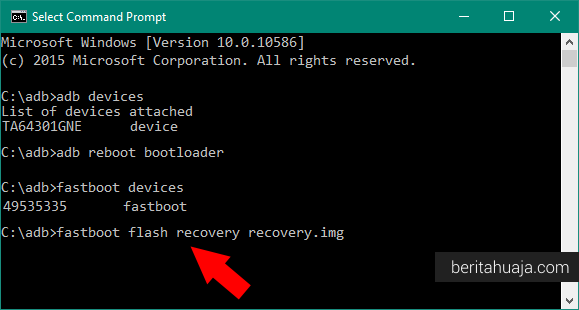 Download file Custom Recovery (TWRP) for Xiaomi Redmi Note 4X on your computer. Make sure you have a file with the extension img . Rename the file to recovery . Now connect the Xiaomi Redmi Note 4X device to your computer using a USB Cable. 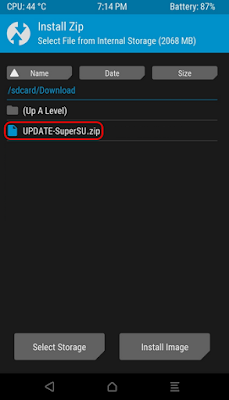 Move the UPDATE-SuperSU.zip or Magisk-vXX.zip file to Internal Storage your Xiaomi Redmi Note 4X device (put outside the folder). Now, name the file TWRP Recovery becomes recovery.img and put into ADB and Fastboot folder (C:/adb). 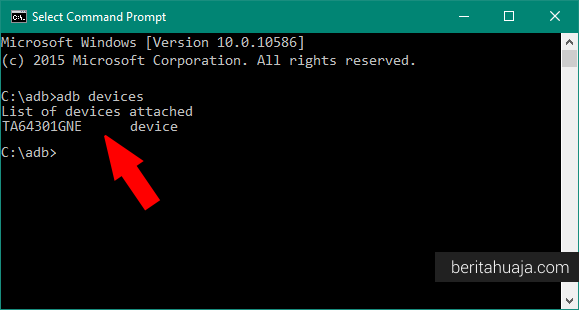 Now, in the ADB folder (C: \ adb) press and hold down the "Shift" key and right click, and select "Open Command Window Here", then the Command Prompt window will pop up, or by entering the "cmd" command to Link Bar "Window Explore". Note: How to enter Fastboot Mode on Xiaomi Redmi Note 4X device can also be done manually without the need to connect it to a PC by pressing the "Volume Down + Power" button simultaneously until you see a fastboot logo. By holding together "Volume Up + Volume Down + Power" until you see recovery. If you have not entered into TWRP Recovery Mode, follow the step by step to get into Recovery Mode Xiaomi Redmi Note 4X device. But if the device Xiaomi Redmi Note 4X you are logged into TWRP Recovery Mode, now select the Install button. 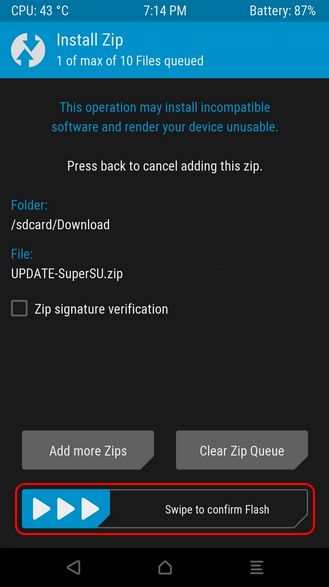 After that, now navigate to the file UPDATE-SuperSU.zip or Magisk-vXX.zip existing on Internal memory. If you have selected the file UPDATE-SuperSU.zip or Magisk-vXX.zip,it will display a verification of whether you will do Flashing. Caution: If you choose to do Flashing, then indirectly you are already receiving a wide variety of risks that will occur on your Xiaomi Redmi Note 4X device, such as Bootloop, Brick or other risks. If you choose to do Flashing, then do Swipe from left to right. Now you wait for how fast the flashing process is completed. Hopefully you are the lucky ones. Once the your Xiaomi Redmi Note 4X device restart, you will find the application SuperSU or Magisk on your Xiaomi Redmi Note 4X device application menu as in the picture below. 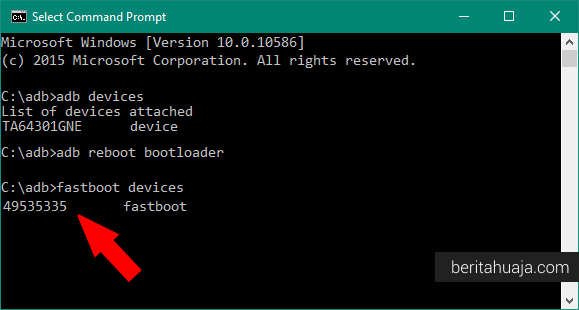 0 Response to "How To Root Xiaomi Redmi Note 4X And Install TWRP Recovery"